I am currently working on major project aiming to compile a comprehensive taxonomic review of diatoms of the British Isles. I have been Research Curator of Diatoms at the National Museum of Wales since 2002, following posts at the Natural History Museum, London, and Cardiff University in the U.K., studying diatom diversity of the Himalaya; and at the Technical University of Munich and the Helmholtz Centre Munich in Germany, studying lake acidification and ecotoxicology. I am interested particularly in the ecology and taxonomy of diatoms from Nordic and alpine regions of the world. 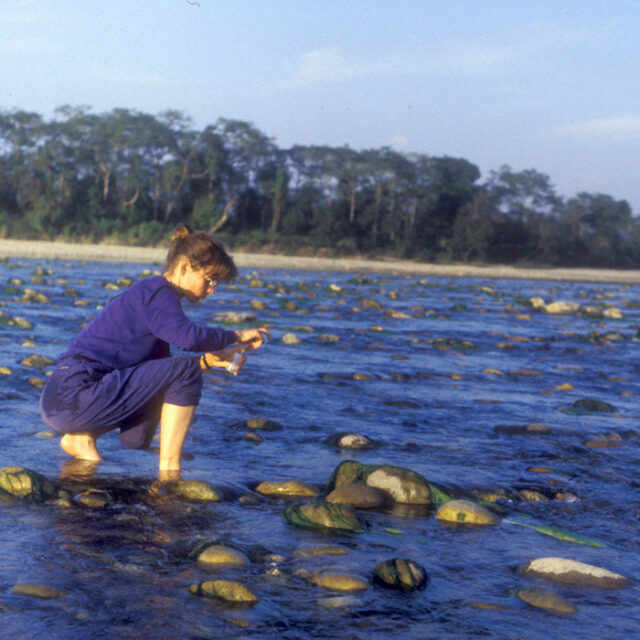 Current projects include the use of diatoms as indicators of water and habitat quality, and the taxonomy and ecology of the diatoms of Great Britain, Ireland and Nepal. To develop the collections at the Museum I regularly collect freshwater and marine diatoms from many geographical regions that I visit. Our collections currently comprise over 4000 samples which are fully curated and databased.